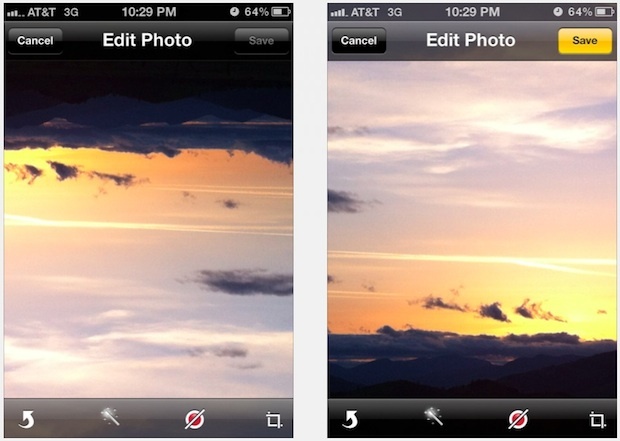 Did you take a great picture with your iPhone, but your iPhone camera orientation was upside-down or sideways? This happens pretty often, and if you ever need to correct the orientation of an image by rotating or flipping a photo, you can easily do so right on your iPhone, iPad, or iPod touch. Each tap of the arrow icon will rotate the image another 90 degrees, so if you want to flip something around completely tap it two times. When you tap on “Done” the image rotation is changed, but it can be undone at any time. If you’re not satisfied with the rotation results tap on “Cancel” or “Revert to Original” to go back to the default version, accessible by accessing the same Edit menu. If the rotation is too extreme, perhaps because you don’t need to rotate something 90 degrees, 180 degrees, or 270 degrees, you can also use the straighten dial to manually adjust the orientation of the picture and correct it as a lower degree, giving a tilt as necessary. You will notice the iPhone and iPod touch will only show a little arrow icon, but the iPad will display actual “Rotate” text alongside that icon. Also, the “Edit” options will not be visible from the lock screen camera roll, you must be in the Photos app directly. 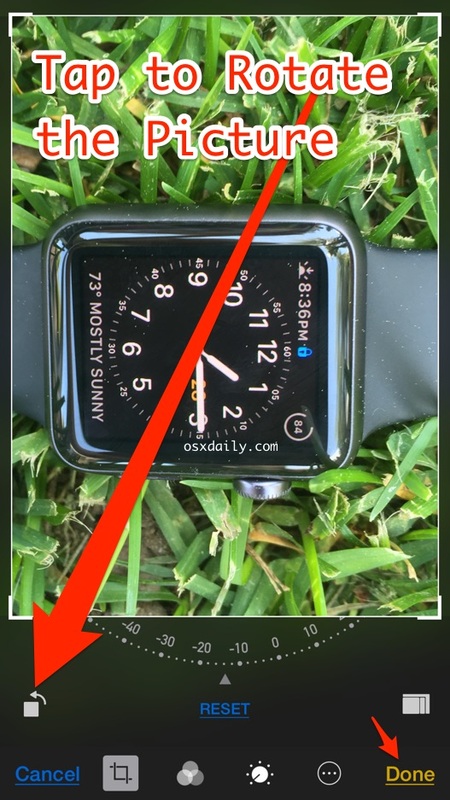 Ultimately basically every somewhat modern iPhone will have this image rotation ability. Do note that you’ll need a somewhat modern version of iOS to have this feature, newer versions of iOS have even more rotation and cropping abilities, whereas prior versions are a bit more limited with more simple rotation adjustments features. I always thought it was weird that Preview in Mac had the rotate gesture but Photos in IOS doesn’t…. What is up with that? That is a peculiar oversight, I suspect we’ll see more gestures in iOS 6 though. I wish i could rotate my photos a few degrees, does anyone know an app that does that? What about inverting the orientation? I mean flipping the image without altering the colour in any way. Inverting it as a mirror image. I have seen apps for this, but is this really such an advanced editing maneuver that I need to D/L an app?? Please let me know. I feel I have utilized all aspects of my iPod’s editing features and it seems quite unbelievable that this would not be included. Cheers! You are looking to flip horizontal or flip vertical the image, that mirrors it. Snapseed is a free app that has lots of features like that. Rubbish. 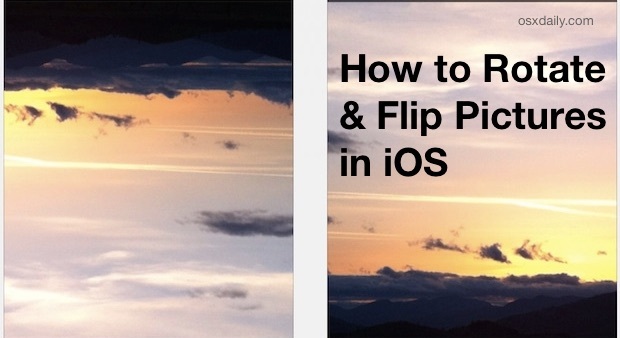 it is impossible to ‘flip’ an image in ios without third party software. get your terminology straight.